I dislike writing negative reviews. Normally if I don't like a book, I won't review it, but I wanted to share some thoughts on this book, because while I didn't like it, I think it's a book that people will enjoy reading and gain a lot of information from the information Cynthia Bourgeault has collected and shared in the book. What drew me to the book first was the title and the cover. I personally wear a triquetra instead of a cross as a symbol of my faith. I'm always open to reading different views of Christianity so I read the description of the book and really liked it and thought there would be something of interest to me within the book. Unfortunately I struggled with this book. The beginning of the book is very theory based and the end of the book is very technical and with out the proper background it made very little sense to me. Before starting the book I did do some research into the Law of Three and thought I had a basic understanding, I needed more of a background in these theories. Maybe those with more of a background could follow where the book was headed but I quickly got lost. I never did figure out the connection between the Law of Three and 'feminizing the Trinity'. One thing I think that this book did well (that I understood) was the inclusion of the article that Cynthia wrote that sparked the idea for the whole book. It was great jumping off point and allowed the reader to really get the foundation for the rest of the book. I just wish I could have followed more of the book and would love it there was a way for Cynthia to write a book for those of us less versed in a lot of these theories. 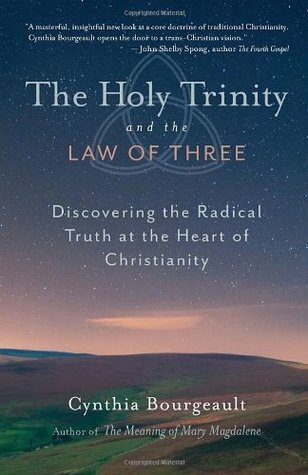 Sign into Goodreads to see if any of your friends have read The Holy Trinity and the Law of Three. 0.0% "This is a heavy book, having a hard time getting into it."